About us – WHITEHOUSE CLEANING PRODUCTS CO., LTD.
White House Cleaning Products Co., Ltd. Is part of the Siam Beta Group, which is the importer/exporter of a wide range of chemical-based raw material factories and laboratories. Since it was established over 30 years ago. Siam Beta Group Co., Ltd. Has acquired unrivalled experience and expertise in the modem chemicals industry, and is firmly committed to meeting the increasing demand from its many customers by continuing to supply top quality chemical products from around the world. As part of its expansion strategy. Siam Beta Group Co,. Ltd. 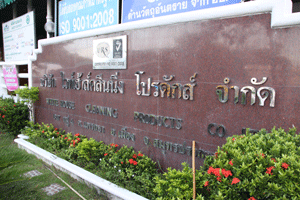 Established White House Cleaning Products Co., Ltd. On January 7th 1991, with 100% Thai shareholders. 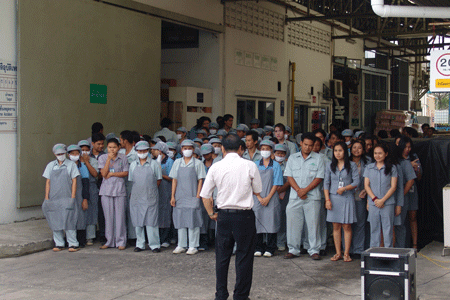 Today, it is a manufacturer of a comprehensive range of cleaning products, all of which have been approved by the Hazardous Substances Control Bureau, the Food and Drug administration (FDA), under the Public Health ministry, and awarded Thai Industrial Standards Institute Certification. With its speedy and modem manufacturing system. White House Cleaning Product Co., Ltd. Is well able to manufacture a wide range of high quality, reliable products for delivery on time. As a Professional manufacturer. White House Cleaning Produces Co., Ltd. Is continuously developing all aspects of its entire operation, including its manufacturing process, management administration and high quality products to ensure maximum benefit and satisfaction of all its customers and product users. White House Cleaning Product co., Ltd. was awarded the internationally recognized ISO 9001:2008 Quality Standard Certification, and in addition, was awarded GMP Quality Standard Certification by the Food & Drug Administration (FDA), of the Public Health Ministry, acknowledged as the best product quality control system.